The teacher and student’s manuals resulting from EUFICCS project (European Use of Full-Immersion, Culture, Content, Service approach for Language Learning) were published. University Fernando Pessoa participated in this project along with Associazione Culturale Ulisse, Siena Italian Studies (both from Italy) and the Centro de Lenguas y Educación Cultural (Spain). 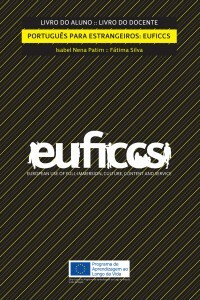 EUFICCS aimed to strengthen the motivation and ability of language learners to study a foreign language, using a common innovative methodology drawn up by the consortium and applied to learning Italian, Spanish and Portuguese as a second language for students, trainees, and other young or adults workers. We provide you free access to the eBook of the student manual in epub format and mobi format.